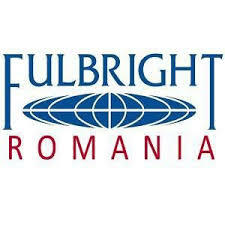 The Romanian-U.S. Fulbright Commission is pleased to announce the 2010-2021 Fulbright Student Award competition for master’s study or research in the United States. Applicants can be Romanian graduates – BA, MA or PhD students – from accredited public and private universities. BA students are also invited to apply if they are in their final year of undergraduate study. one academic year (9 months, starting August 2020). if applying in law, candidates must hold a degree in that field. three letters of recommendation from university professors and/or other acknowledged Romanian or foreign professionals, submitted directly in the online application or mailed as official paper copies by the deadline of the competition; we also accept letters of recommendation via email if the recommenders send them directly, as scanned signed documents, by the deadline. academic transcripts and diplomas for all undergraduate and graduate levels, accompanied by translations, scanned and uploaded to the online application by the deadline; official paper transcripts should be sent at a later date, only by the applicants selected for interview. Standardized tests are not obligatory in the first stages of the competition. Score reports will be required prior to October 31, 2019. Test vouchers for exam registration will be provided only to the Romanian final nominees who must take TOEFL (for research) and TOEFL, GRE or GMAT (for master’s degree). the nominated finalists are subject to final approval by the Foreign Scholarship Board (FSB – http://eca.state.gov/fulbright).